little different from previous post, this ejector system use long ejector rod, ejector rods type is very depend the type of machine, stack mold, basic injection mold have different ejector rod type, although the basic system is same. 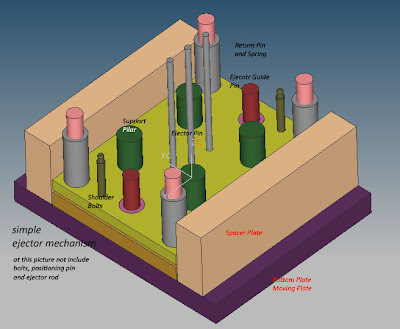 video above shown simple 3D model of ejector system, at those video is not include bolts that connected ejector plate and ejector baking plate, also bolts that connected bottom plate to core plate. 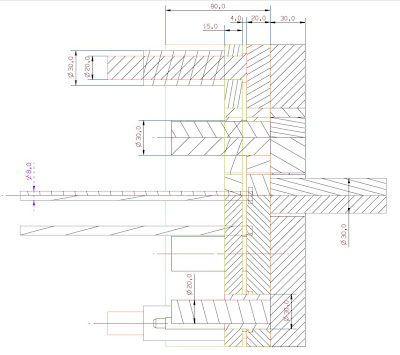 i hope by using those video is more easy to learn mold design.